Now in its Eleventh Edition, this text once again lives up to its reputation as a clearly written, comprehensive finite mathematics book. 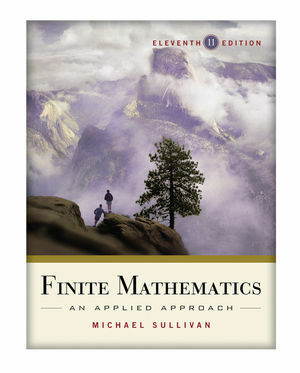 The Eleventh Edition of Finite Mathematics builds upon a solid foundation by integrating new features and techniques that further enhance student interest and involvement. All existing problems have been updated to provide relevance and timeliness. This new edition of Finite Mathematics contains the same elements such as Step-by-Step Examples, Exercise Sets, and Learning Objectives in every chapter. In an engaging and accessible style, this text demonstrates how mathematics applies to various fields of study. The text is packed with real data and real-life applications to business, economics, social and life sciences.